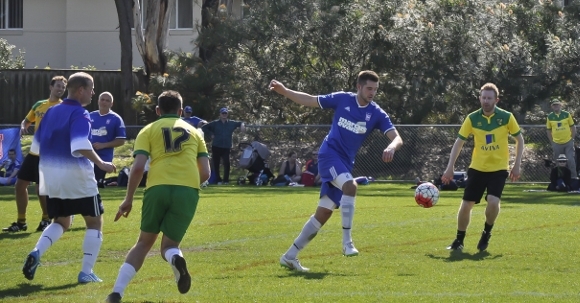 Saturday saw the second staging of the Derby Down Under played between the Australasian Branch of the Supporters Club and Canaries Down Under with the Blues victorious, as they were in the inaugural game a year ago. Ed Parker, the chairman of the Australasian Branch, is TWTD's Sydney correspondent. 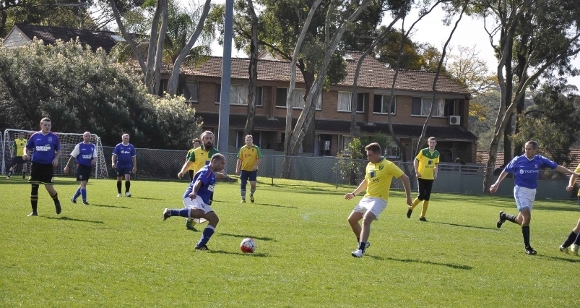 No doubt, the play-off defeat to Norwich and the immediate news of the overnight defeat to Reading will have made Town fans extra determined to retain their Derby Down Under title. 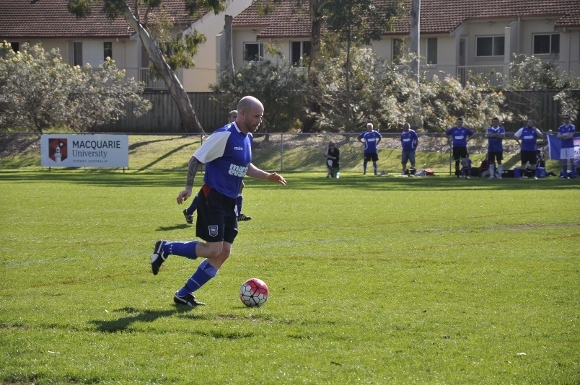 The Derby Down Under rematch was moved to Macquarie University, the training ground of Sydney FC, and saw an improvement in the facilities and the quality of the pitch. Both sides saw people travelling in from afar, including Melbourne, Brisbane, Adelaide and New Zealand. Indeed, some of the Town team only arrived from the UK the day before. The initial exchanges were tight with both teams refusing to give little away, however as the first half wore on Town started to put some moves together and created a few chances before finally breaking the deadlock with a goal from Dan Bunting. Some good work down the right was finished off by Lawrence Eadie to put Town two up and the Blues continued to dominate with Matt Goldrick shaking off his jetlag to add a third before half-time. Town's defence were solid and well organised with Roger Harmes, Dan Bunting and Jon Spencer putting in some good work, successfully deploying the offside trap, much to the frustration of the Canaries, whilst Chris Rose, Mick Cave, Jack Holmes, Glenn Ranger, David Goldrick and Reece Goldrick all held the midfield tight. 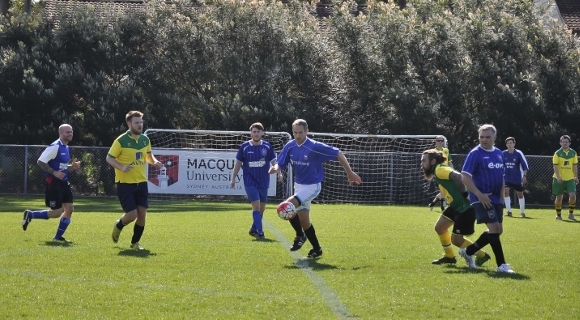 A half-time reshuffle saw keeper Ben Taylor go up front for a run around and Town continued their assert their dominance quickly going 4-0 up. At that point it was looking like Town would run away with the game, however the Canaries stepped up and as legs tired and gaps opened they exploited Town's change of keeper, scoring twice in quick secession. Norwich added a third midway through the half and things became particularly nervy for Town. No doubt the memories of the previous year's game will have played on the minds of a few, Town having lost a healthy 4-2 lead only to draw the game. Surely we wouldn't have to go to penalties again? Determined not to give up the advantage, Town dug in and got behind the ball before a Leo Chandiok header restored a two-goal advantage with only five minutes to go which killed off any late challenge from the Canaries. There was, however, just enough time for Ben Southgate to send a bullet of a shot fizzing just over the bar and as the clock ran down it was a matter of holding onto the ball. Town eventually running out 5-3 winners to retain the East Anglian bragging rights for another year. The game was played in a good spirit, and was well reffed by Mick Goldrick. After the game the two sets of players and fans all joined each other for a barbecue and a beer before heading off to the city for some further analysis of the game. 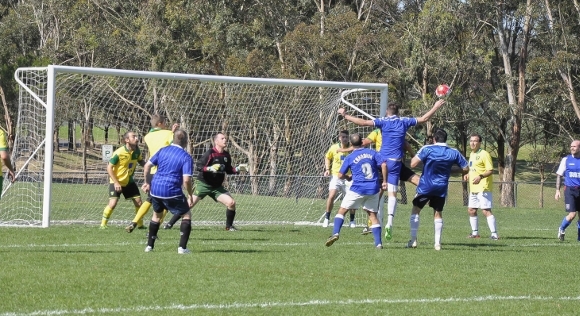 How much does the goalkeeper want? Pretty much every town strip for the last few years covered in the team photo. no wonder we won with that ref! 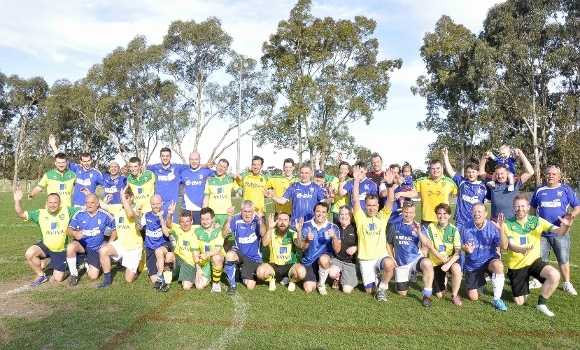 Ipswich lads though I was too impartial, it was a good game.I particularly liked Charlotte who played for Norwich, she is a good footballer, plays in Queensland, fly down and back just for the game. Enjoyed a few (too many) beers with the Norwich lads after in Cheers.